This summer I am going without alcohol. I am taking three months off to give my liver a break. So I thought it might be a nice idea to check out some of the many alcohol free beers that are available in Germany. 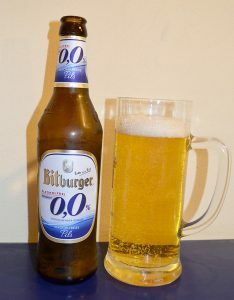 To be honest, I’ve never been a fan of zero ABV beer. The few I have tried so far didn’t appeal to me at all, so I usually have other non-alcoholic drinks instead of seeking the illusion of a proper beer. 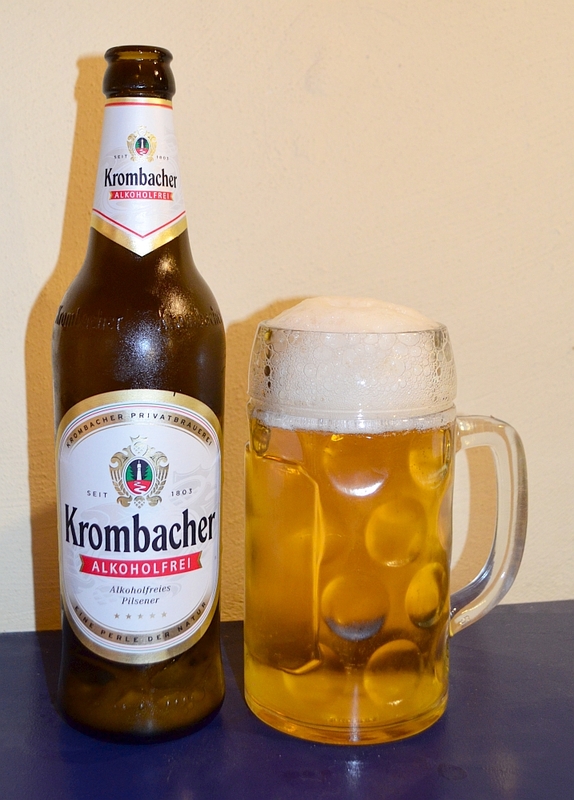 But somehow I wanted to find out anyway if there might be any enjoyable alcohol free beers around, so I decided to compare all the ones I can readily buy at the local supermarket which has a fairly decently sized beverage section. Palate: Malt, corn flakes. One dimensional and quite sweet. Overall: Liquid bitter corn flakes. Dreadful. Overall: Reminds me of Bud Light. Overall: Better than Hacker or Paulaner but the hop bitterness is slightly unpleasant. 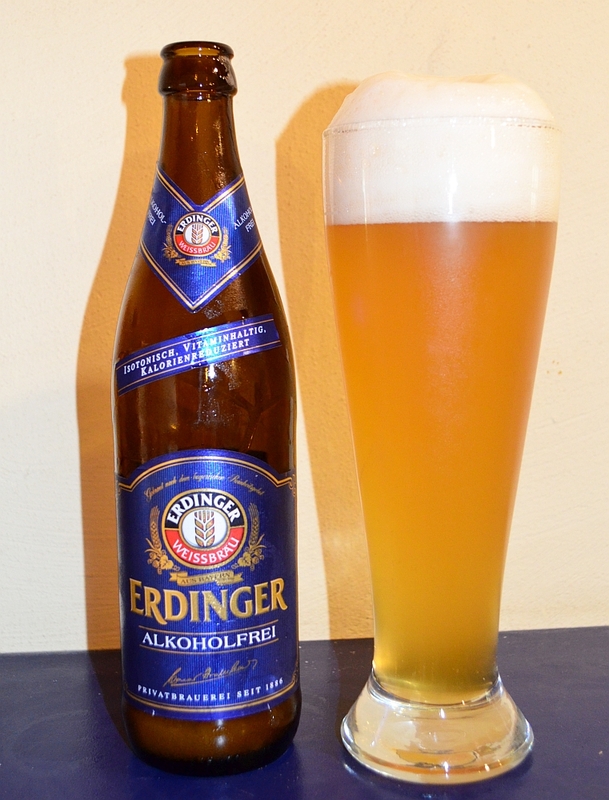 Overall: This is recognisable as beer but still a bit heavy on the corn flakes. Overall: Not resemblance at all to weissbier, very similar to the Paulaner Hell. 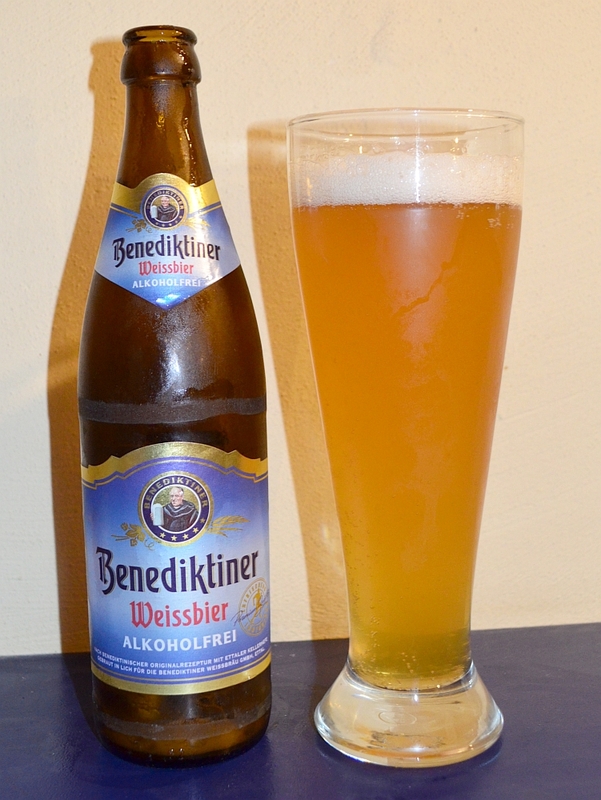 Overall: This is very close to mineral water with a bit of lemon, but it is less fruity. 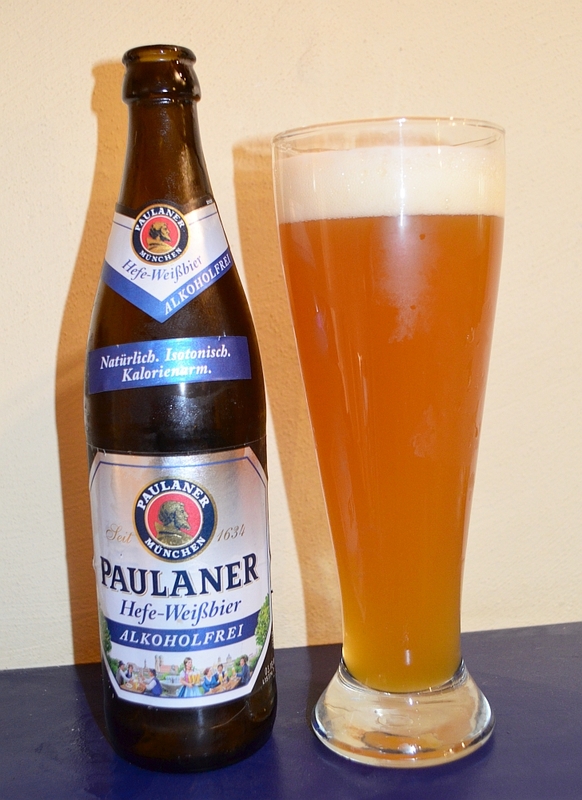 Overall: Definitely better than Paulaner Hell. This is almost enjoyable but the balance is a bit off. 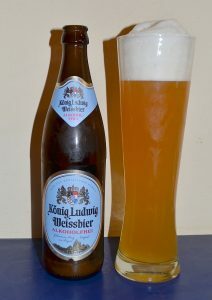 Overall: This beer has a dominant flavour component, possibly a specific ester, that may work in a regular weissbier but here it is overwhelming. It is not really unpleasant but you have to get used to it. Overall: You can notice this is beer, but I don’t get any specific wheat flavours. An unoffensive drink, not unpleasant. 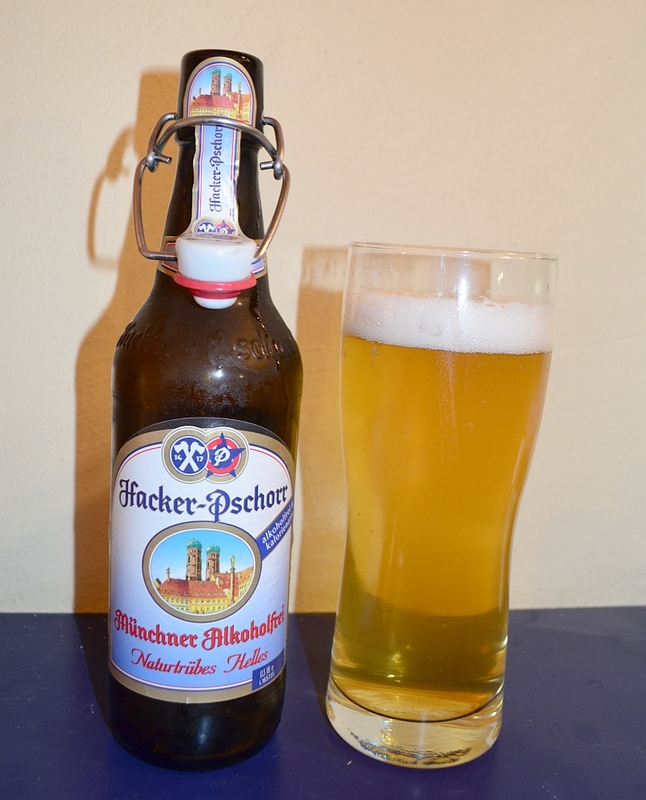 Overall: It is a bit weak in flavour but the overall balance of aromas makes it taste quite close to the real thing. Palate: Very sour attack, almost like olive brine (really! ), rapidly turning bitter. Overall: This one surely is different. 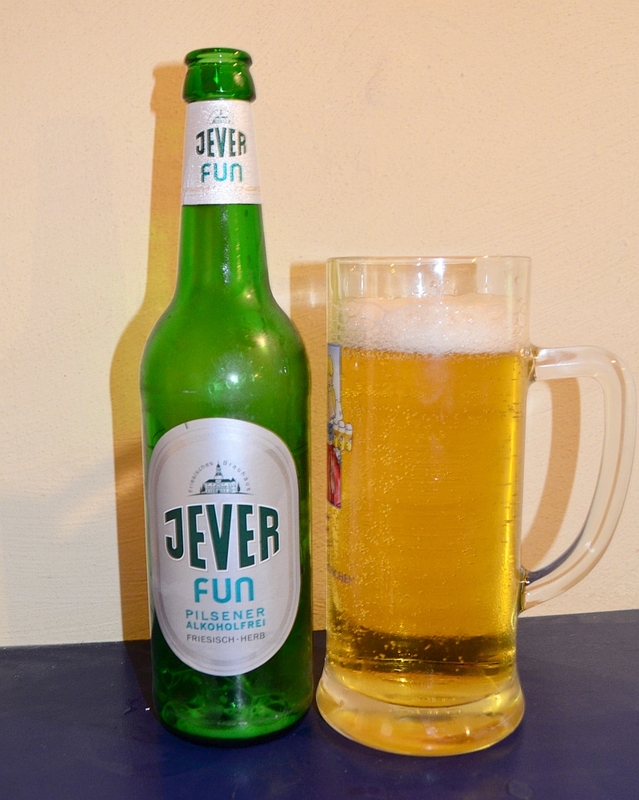 Regular Jever is a quite hoppy pilsner but without alcohol this is just over the top. Overall: Nothing stands out here, the generic cereal notes are present but not prominent. Not the best, not the worst. Overall: The beer is off to a prominsing start but on mid-palate the taste becomes generic. 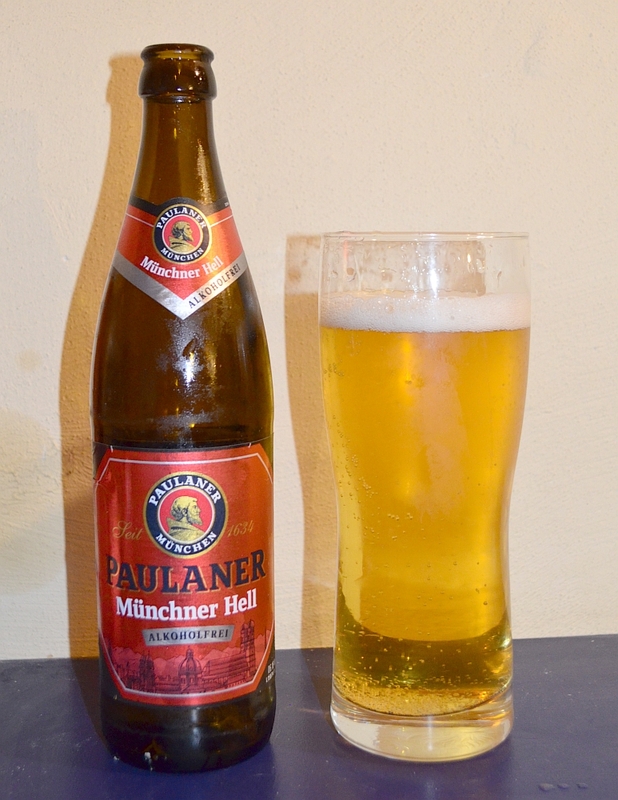 Overall: This actually isn’t too bad, but it is only remotely beer-like. Overall: The pioneer of German alcohol-free beer delivers a nice citrus-forward pseudo pilsner. Ignore both your personal preference for or the reputation of a beer brand when choosing an alcohol free beer! I have tasted at least one regular beer from each of the breweries featured here. When I look at the scores and my own preferences it becomes clear that the cards are reshuffled when it comes to brewing alcohol free beer. For example take Oettinger. 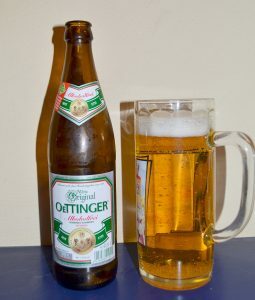 This is a bottom shelf brand that has an “alcoholics’ favourite” reputation because of its low price. 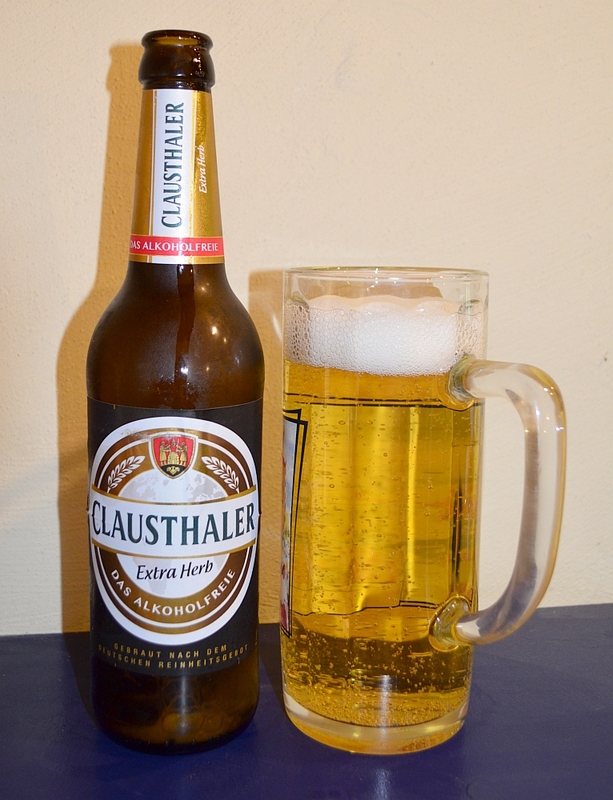 And their regular Helles can only be described as liquid boredom. 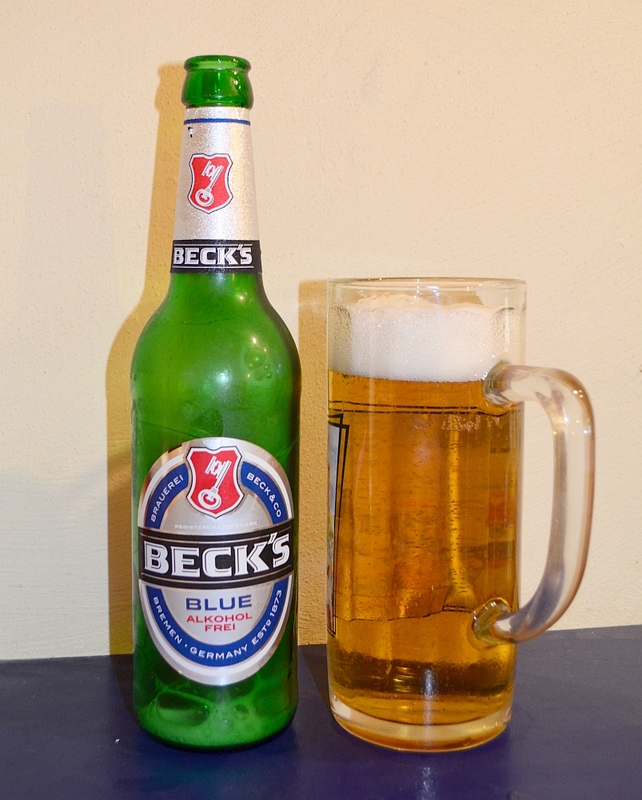 But somehow they manage to brew an alcohol free beer that can stand up against brands with a higher profile. 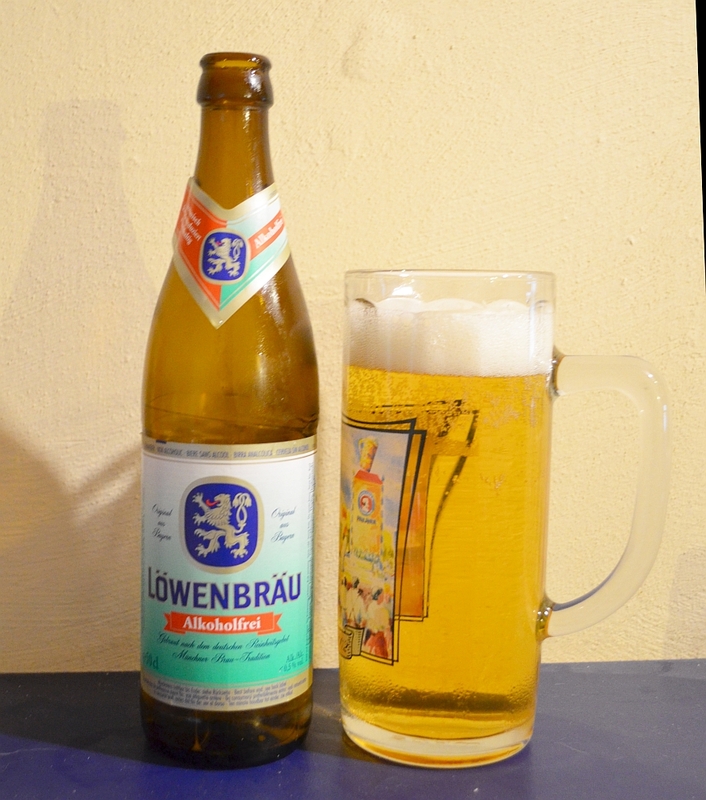 Another observation is that apparently it is easier to brew a halfway decent alcohol free pilsner or weissbier than a Bavarian style lager. Bavarian Helles is one of my favourite beer types, but overall I liked the other types better. And then there is the “corn flakes” thing you might be wondering about. This really struck me with quite a few of those beers. I was surprised to notice the exact same flavour in so many different beers, especially as it is normally not really prominent in regular brews. I don’t know enough about the production of alcohol free beer to say how this can happen, but somehow this seems to be a common DNA of many Zero ABV beers. But then again there are a few that completely lack this flavour. To wrap it up, only two of the beers I tried I would consider drinking again or maybe even buying. With some others I was close to pouring the rest of my glass into the sink. 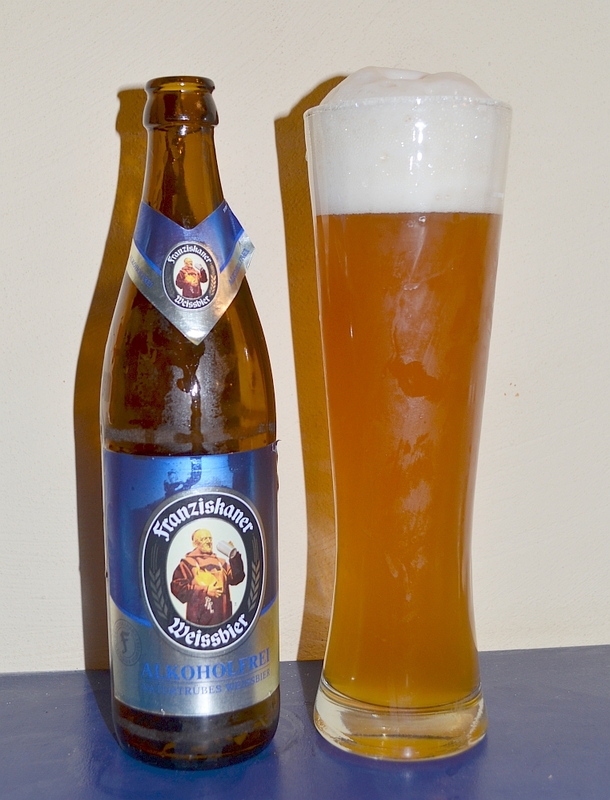 The Franziskaner is not just a decent approximation of a Hefeweizen. It tastes like the real thing, albeit somewhat toned down. And I have to say that Clausthaler is quite a nice pilsner. I am not the greatest fan of this style, and actually I like this beer better than quite a few regular German pilsners. So if you are seriously looking for an alcohol free beer that you like, my advice is to try as many different ones as possible. Because the variability of quality is much bigger here than with regular beers. When I worked retail (many years ago) I stocked over a dozen N.A. varieties, and this was before so many N.A. 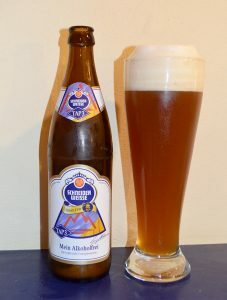 Weizen (imports, of course) brands were available. We actually sold quite a high volume of N.A. !